1. 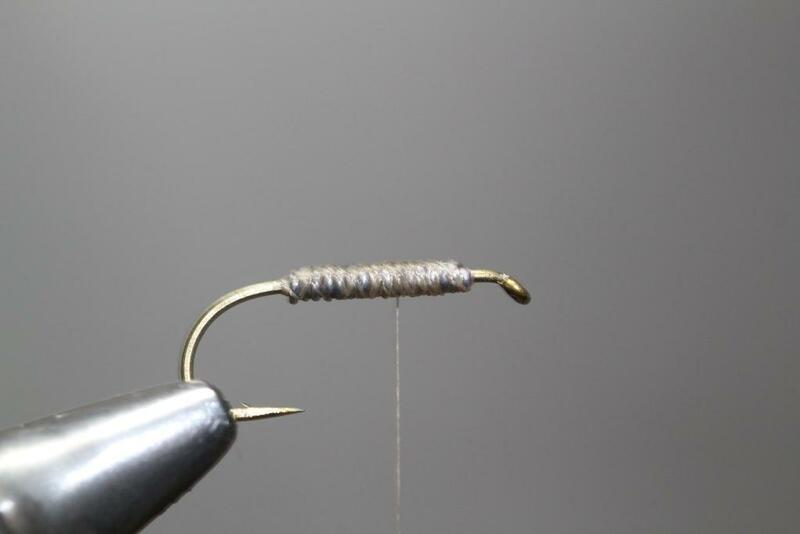 Tie down a good amount of lead/tungsten wire. Secure it with the thread and a coat of varnish. 2. 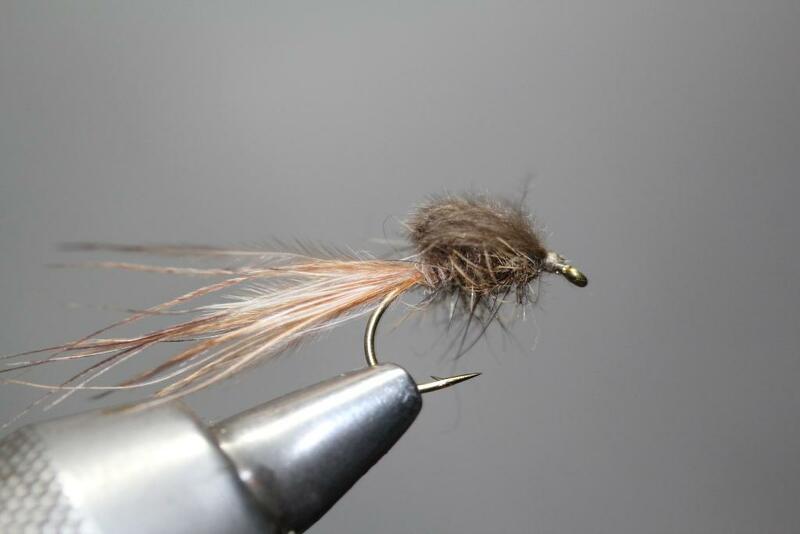 Then tie in the marabou (Mottlebou). Don´t mind the lenght at this point. 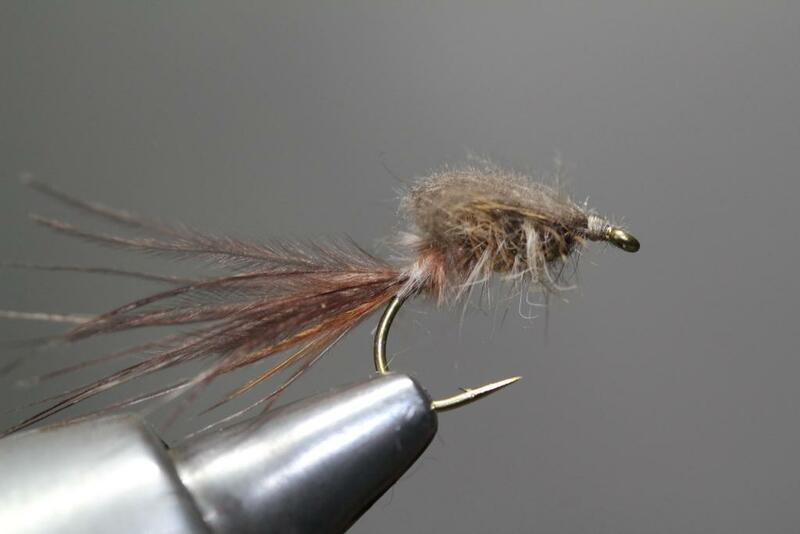 Then wind the rest of the marabou to form the body. 3. Tie in a good bunch of peacock herls. 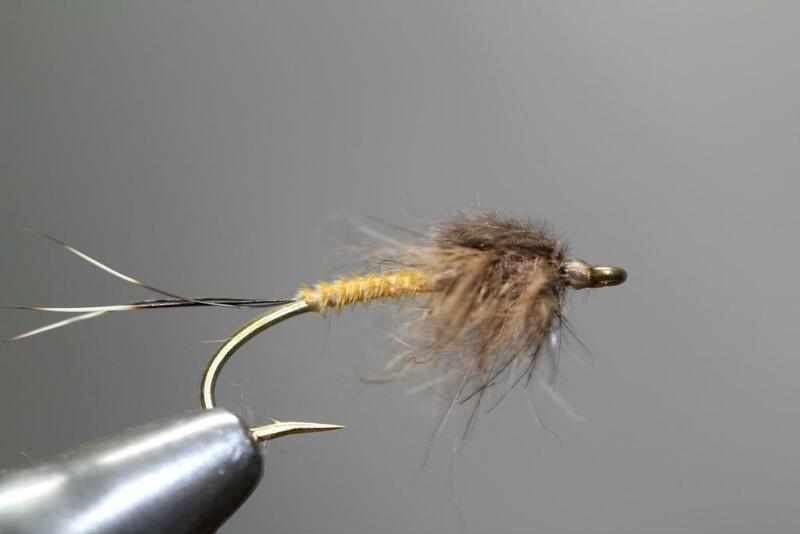 If you do it right you can use this for up to three flies, so do not throw away the excess herl. 4. 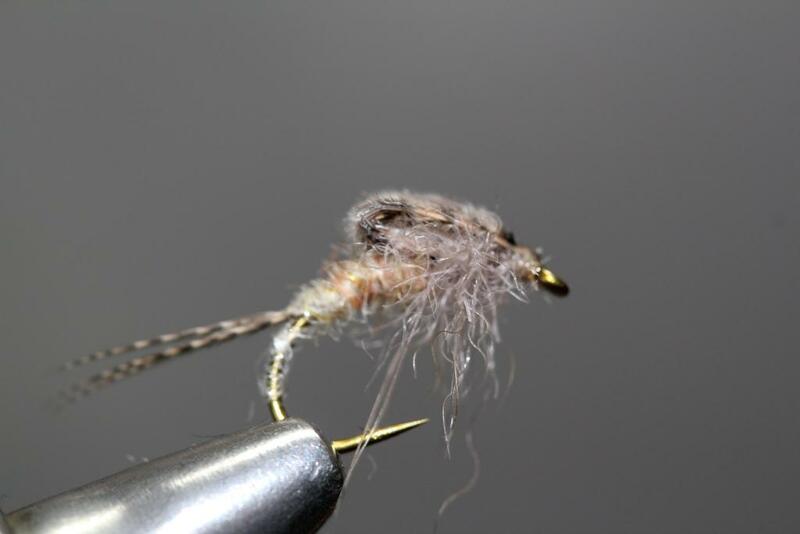 Next step is either to make a dubbing loop or just dub a mix of hare´s ear and marabou to form the thorax. 5. When you are done with the thorax it might be a good idea to brush it up before you form the wing case. 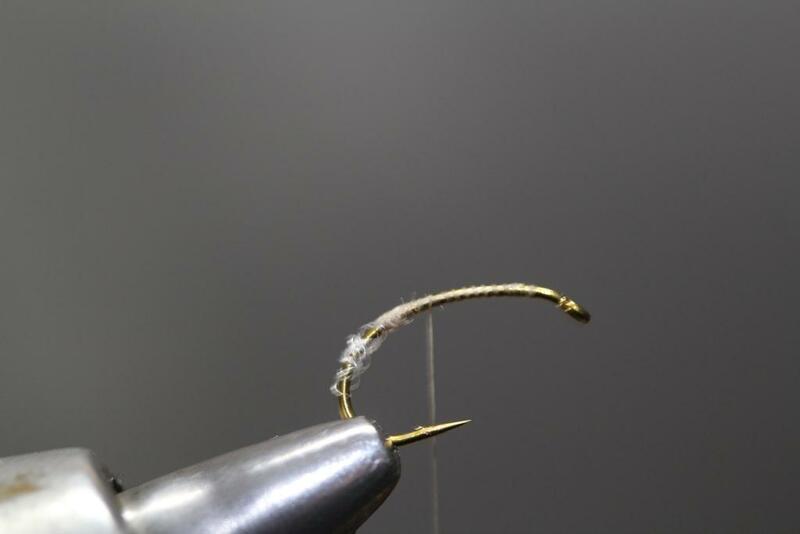 Leave a short stub of the herl over the hook eye. The last thing to do is to adjust the lenght of the tail. It should be about an inch/2.5 cm long. I can guarantee a good catch on this one…! And,this is the material you need. Mottlebou is simply mottled marabou. It has a great color scheme for imitations of the ephemera during the hatch. 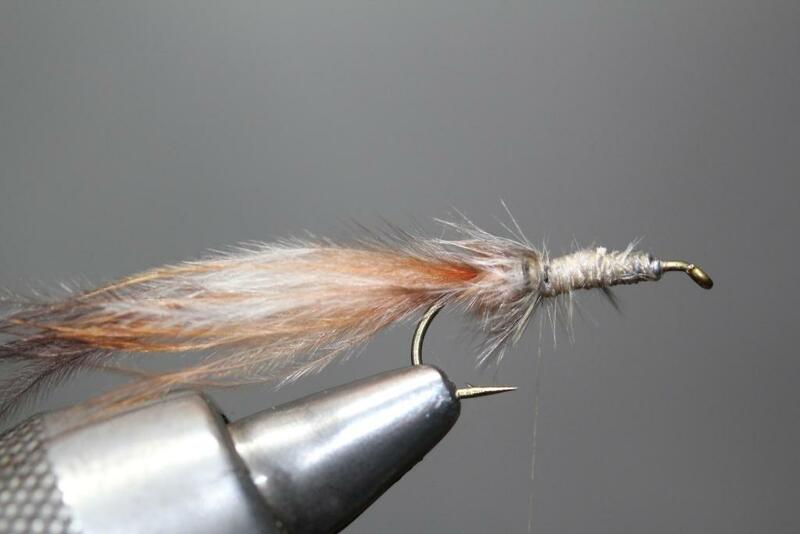 Combine it with hares ear for the thorax and a wingcase from cdc,and you will get one the most efficient imitations for this stage of the cyclus…you should definately try some of these this summer. 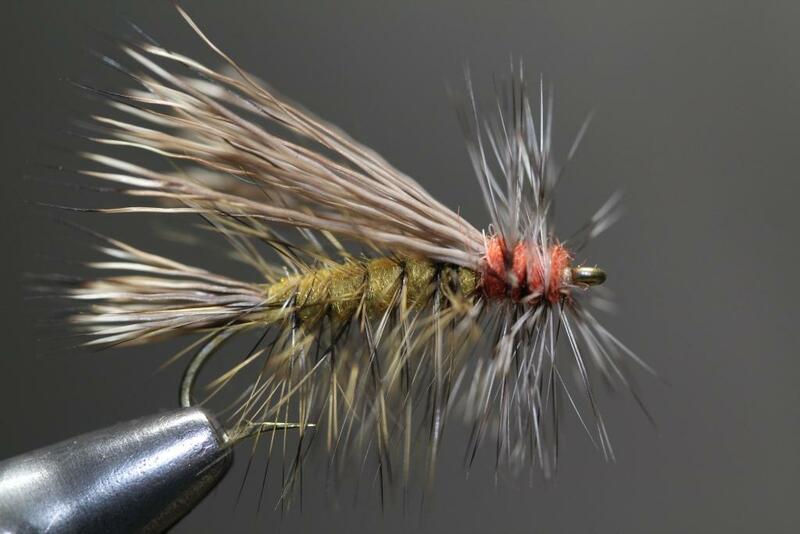 Lee Wulff is a legend in fly fishing and his flies really are icons. I have mentioned earlier that I love american classics. 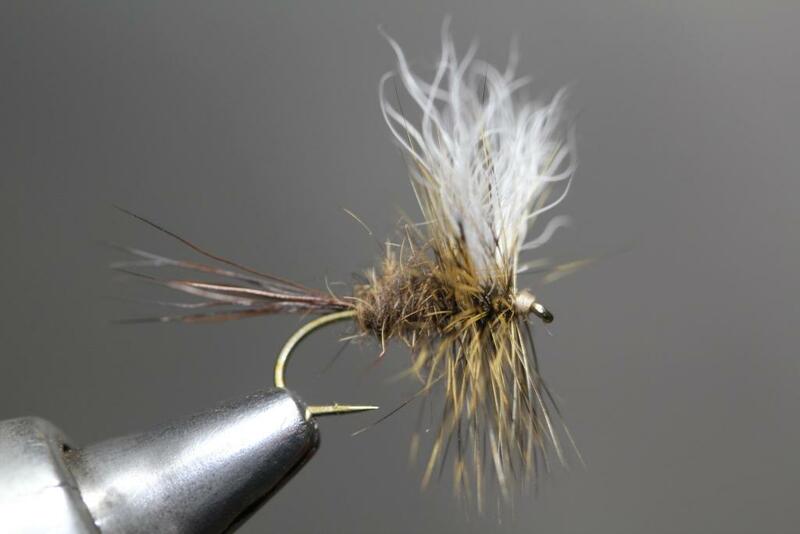 Lee Wulff tied the first ones all the way back in 1929, and this style of tying has inspired thousands of fly tiers around the globe. 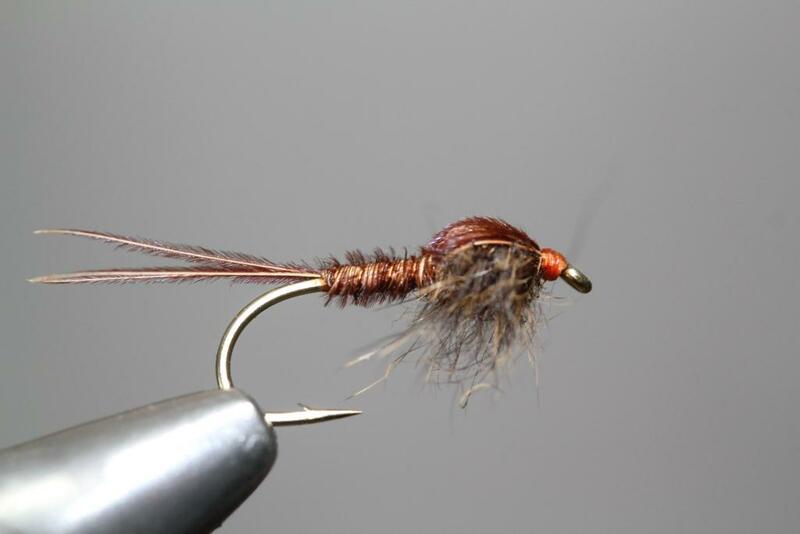 The style of tying are numerous,but they always have the wing in common. As always there will be discussions on how the Wulff really ought to look like,as with all variants of patterns. I have taken the liberty to change the material for the tail. I mainly use moose mane,rather than bucktail. The reason is purely aesthetic. I use and tie the many of the established variants in the series,and have added a few color variations for myself. 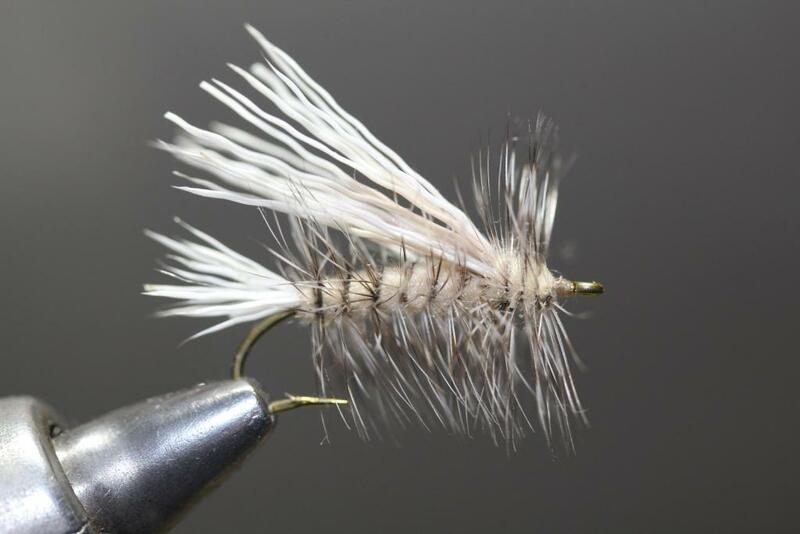 These flies are excellent searching patterns,and they work especially well on fast flowing rivers. I find them both beautiful and efficient for a great deal of fishing situations. 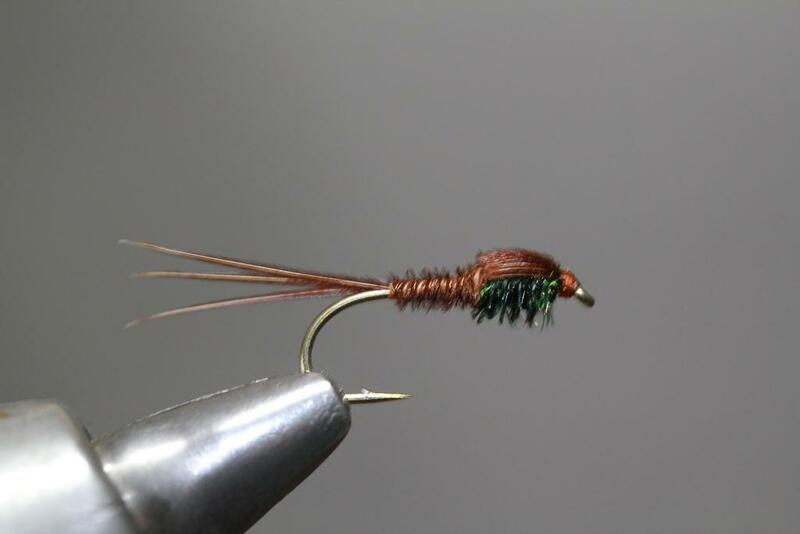 I got this from a FB fly tying page. 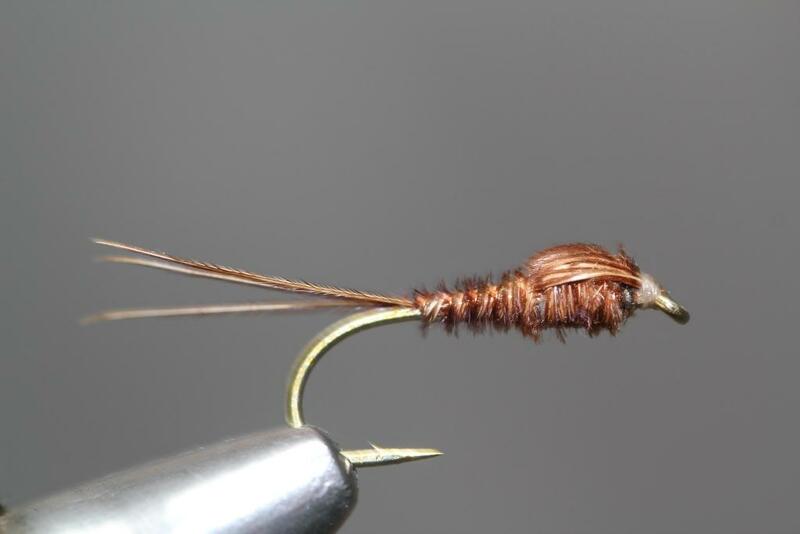 The pattern was tied by a skilled swedish tyer named Daniel Smith. My version is nowhere near as nice as his,but here it is anyway. 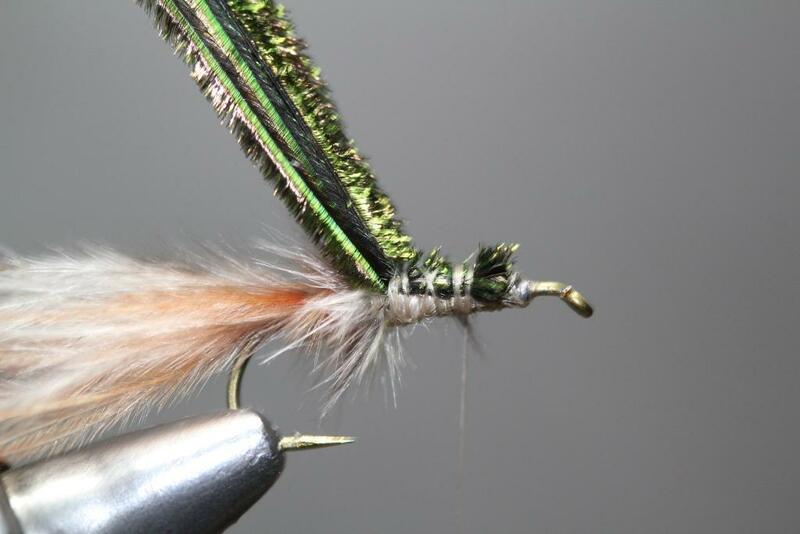 His intention is for this pattern to imitate the emergers of the larger mayflies in Scandinavia. This fly will float in the surface because of the cdc wing casing. 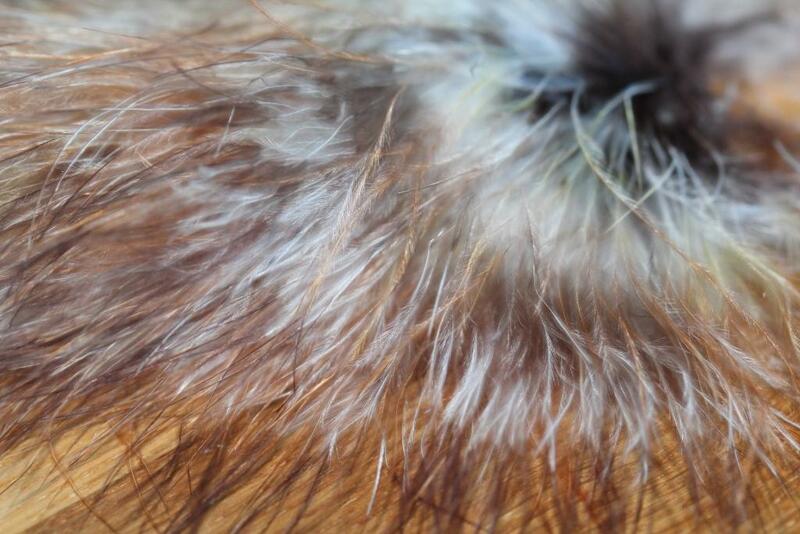 The spun thorax of rabbit or other fur will create enough life to mimic the hatch. 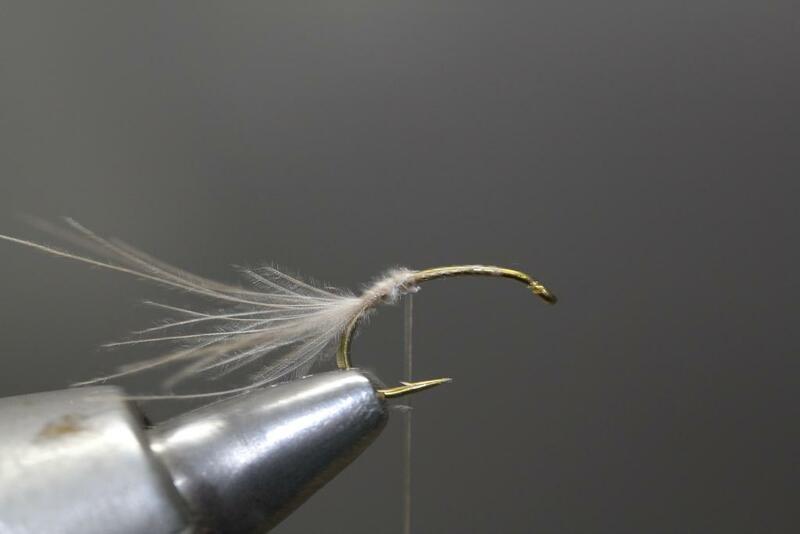 When mayflies,and other aquatic insects, hatch they shed their nymph/pupa skin in the process.They also have small airbubbles surrounding them when trying to break the surface film. 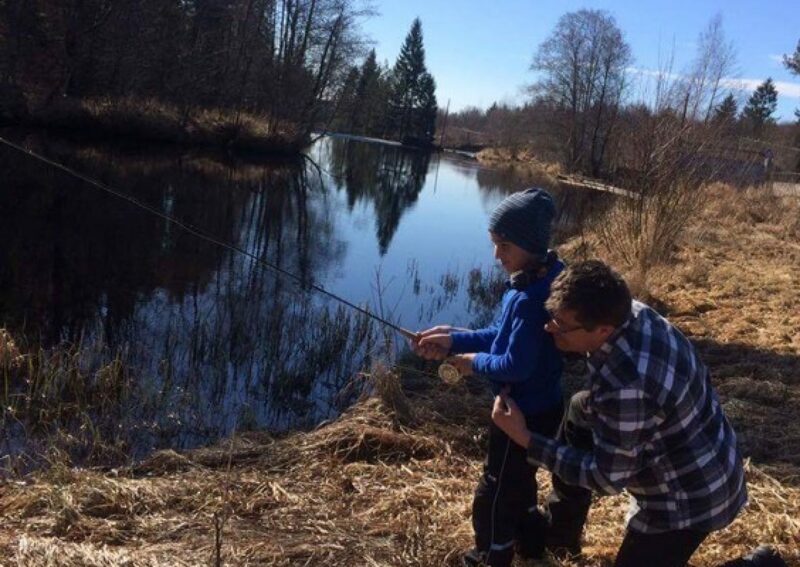 This can often be a very important trigger to the fish. I think the key is to just give the fish a small hint of this element. The whole point is not to make it to firm and compact. I see a lot of flies tied to please the human eye,and not the eyes of the fish. The old skin is translucent and often it still carries small silvery air bubbles in or around it. 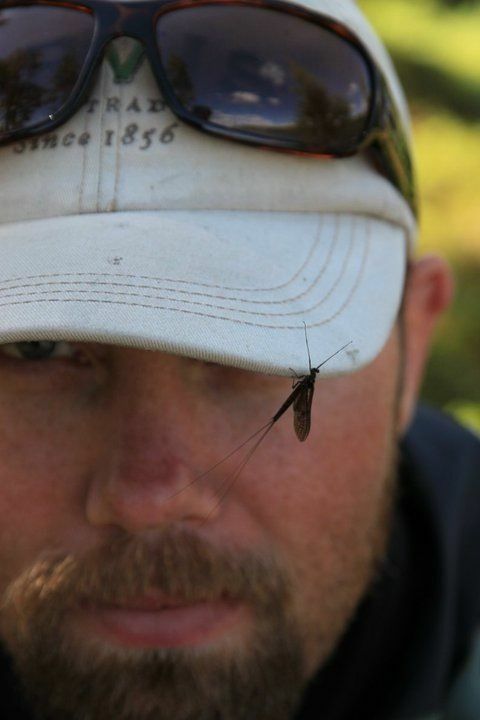 Personally I think the best method is the one deviced by G. LaFontaine on his Halo Mayfly Emerger. 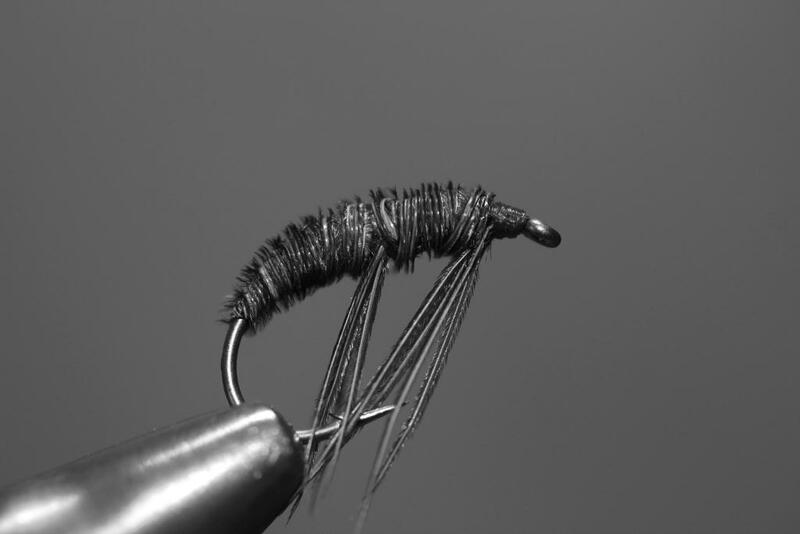 To create this illusion he simply winds a few strands of antron down the hook shank. Be sure to wind them loosly,and never use to much. This has worked well for me in various hatching situations. The second method that I use is just a small amount of cdc hanging behind the actual pattern. LaFontaine´s method using antron yarn. Alternative method using a few fibres of cdc. 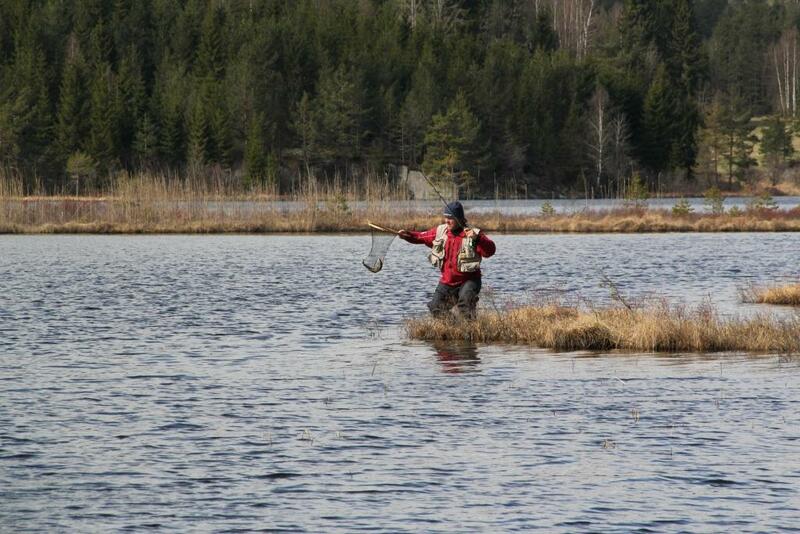 The Stimulator is one of the best known attractor patterns there is. 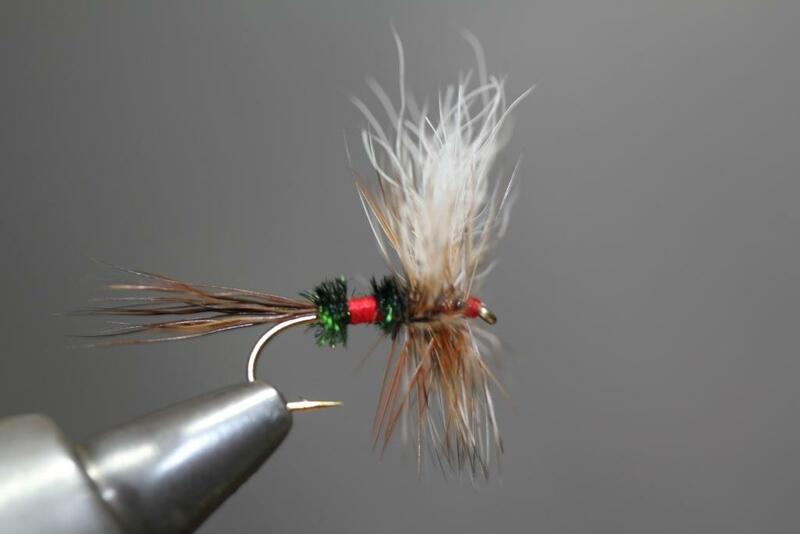 The fly is tied in a great number of variants and colors. 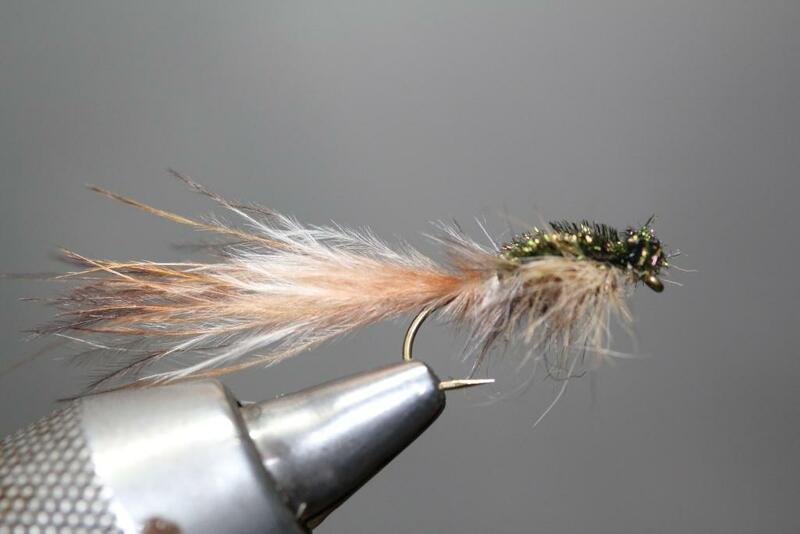 It can be fished as a stonefly or a caddis pattern,as well as a general searching fly. I use it mainly when the weather is rough or the river runs high. Tie it in any color to suit your needs. The grey/white variant pictured below is my choice in the autumn,when big moths constantly crashes into the water in the evening. It works exceptionally well in my local river at that time of the year. It is supposed to be scruffy and roughly tied.